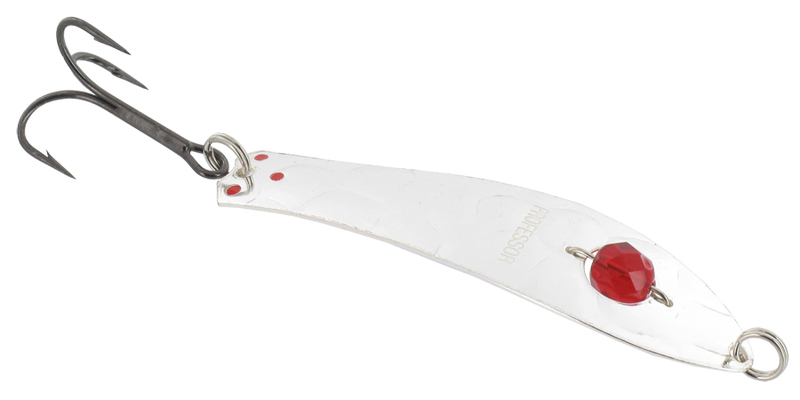 This is the perfect lure for tricking the mighty salmon! A large male salmon is one of the most difficult fish to catch. This feat can only be achieved by being irritating enough. he sly old curmudgeon may take a look at the angler’s offering from the side and from behind. It inspects the lure and tries to scare it off with the occasional swipe of the tail. If the lure is annoying enough, the powerful fish will make a dash for it and bite down with force. This Professor is one of the best known Kuusamo lures, famous for its ability to fool big salmon.